Dog is man's best friend. 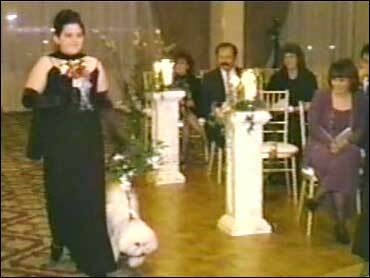 Woman's, too, it would seem, from word of a growing trend: couples having their canine companions in their wedding parties. The Early Show resident veterinarian Debbye Turner reported Wednesday that the idea is so popular now, formal wear for dogs is a thriving business. Cameras were rolling in one such wedding, and Turner spoke with a master wedding planner about why anyone would have Rover as the ring bearer. She also chatted with dog owners who loved the notion, and some who were none-too-keen on it. To see Turner's report, click here.